We've been busy here on the farm! 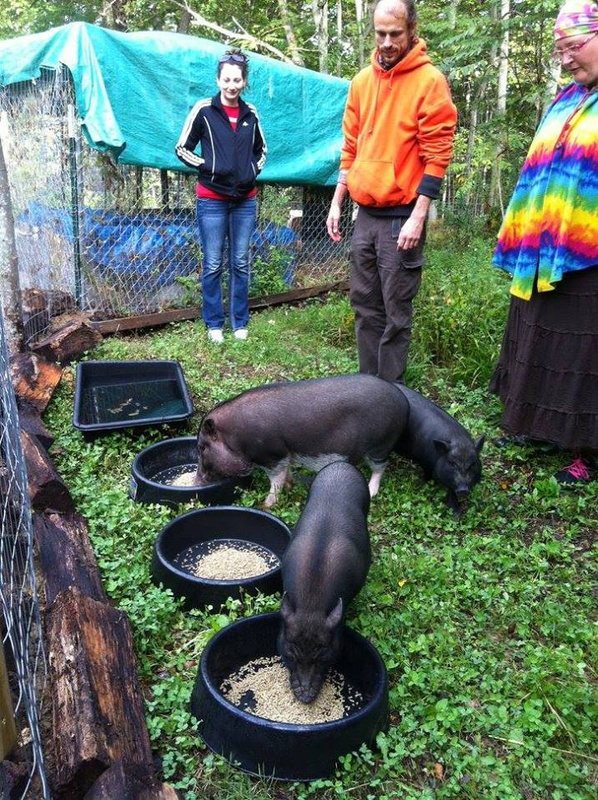 Joe and I have been traveling throughout Kentucky, and to Cincinnati, Chicago, New York, and San Francisco, speaking on subjects as diverse as composting, permaculture, factory farming, and voluntary vs coercive relationships as part of our outreach campaign. If you’re going to be in the Lexington area on October 1, be sure to come by and say "hi" to us at our table at the first annual Lexington Veg Fest! We’ll be doing a talk on "Why Vegan Farming?" 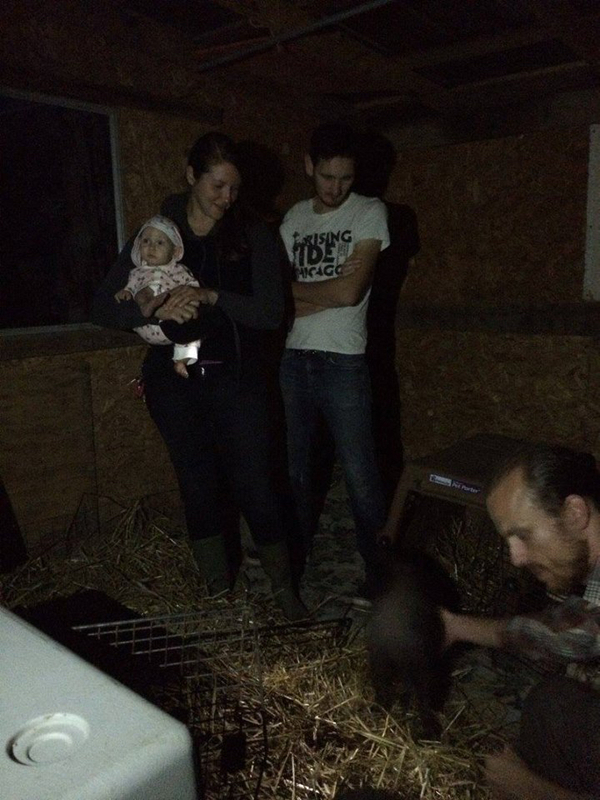 Since our founding 2 1/2 years ago, Wild Earth has transformed an old tobacco and cattle farm into a vegan permaculture oasis. Lawn and hay fields have been replaced with more than 10,000 square feet of no-till, organic annual gardens (enriched by our very own veganic compost), and dozens of fruit and nut trees and berry bushes form the makings of our first food forest. An abandoned church on the property has been completely transformed by hard-working interns and volunteers into a cozy classroom for on-farm educational programs, and guest and intern housing. 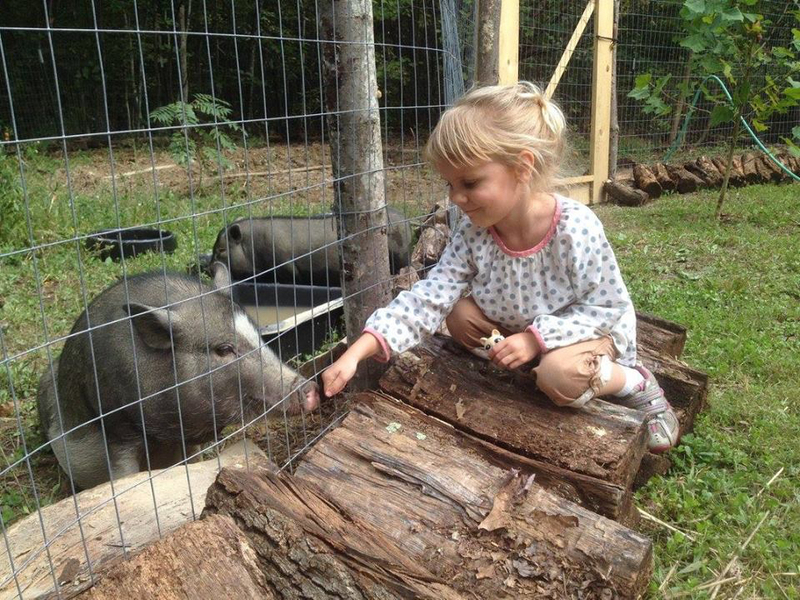 Wild Earth Sanctuary gained nonprofit status earlier this year and is proud to have provided forever homes to abandoned dogs, ducks, and potbellied pigs. Will you help us raise the money we need to build barns for new animals and hire our much-needed first employee? Every bit helps! Show your support by donating to the campaign here. There are non-financial ways you can support our work too. We’re always looking for interns and volunteers. You can even volunteer from the comfort of your own home! Click here to sign up. We take material donations as well. View a full list here. Thank you for being a part of Wild Earth!